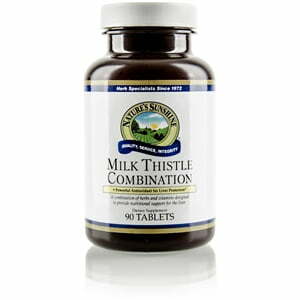 Nature’s Sunshine Milk Thistle Combination, formerly known as N-Acetyl-Cysteine (NAC), nourishes the liver and enables it to be able to perform its over 500 essential functions. The Milk Thistle Combination supports the production of gluthathione, a substance that rids the body of toxins. The formula also contains antioxidants that provide protection from toxins. 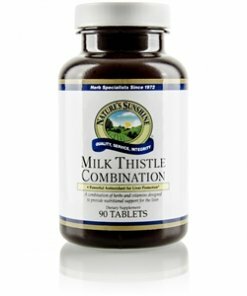 In addition, Milk Thistle Combination contains silymarin, a substance that stabilizes cellular membranes and prevents tissue damage from the intake of toxins. Cellulose (plant fiber), stearic acid (vegetable), maltodextrin, magnesium stearate (vegetable), and silicon dioxide (powdered silica).